It’s back to school and back to the grind season. Even though I have been out of school for a full decade (wow that went by fast), I think of Fall as a time to get serious about work. Summer is about trying to take advantage of every warm day, and savoring every bit of golden sunshine until the chill of Fall settles in. Fall is a time to refocus, and a big part of that is readjusting my eating habits after indulging a bit in the summer. 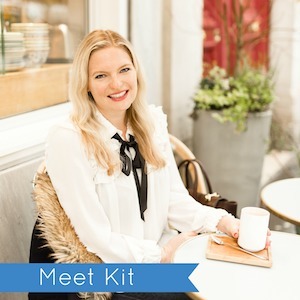 In the spirit of eating healthy leading up to the holidays, today I am sharing my best packed lunch ideas. 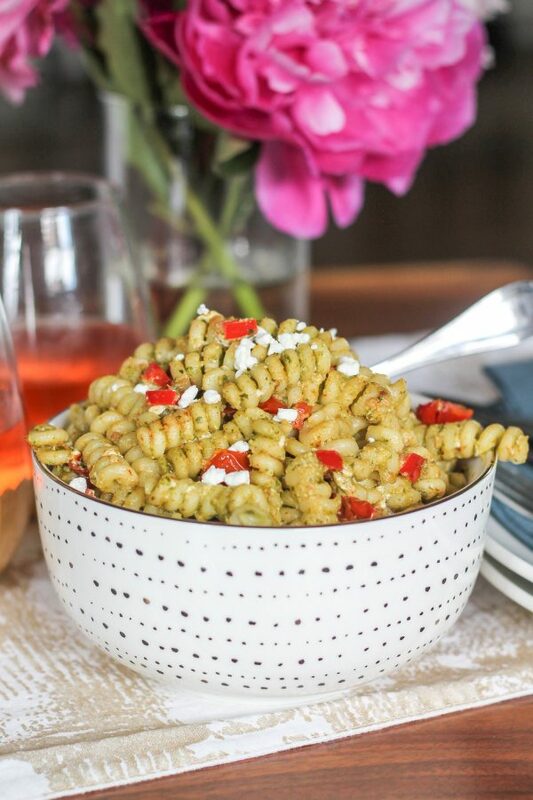 When you go through the effort of packing a lunch, you want it to be a meal that you will look forward to. 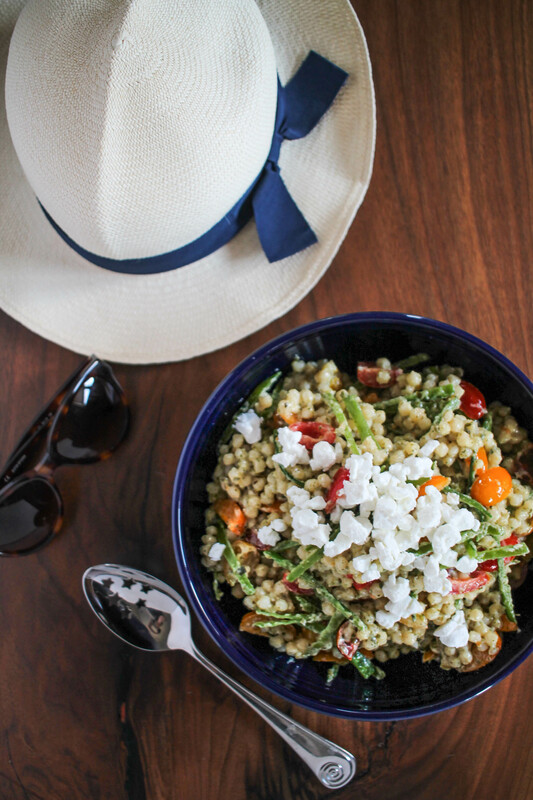 You don’t want a boring bag lunch that will make you crave Chipotle. 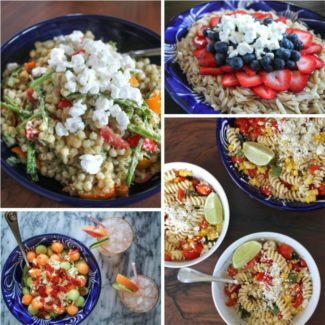 Here is a collection of my favorite lunch recipes. 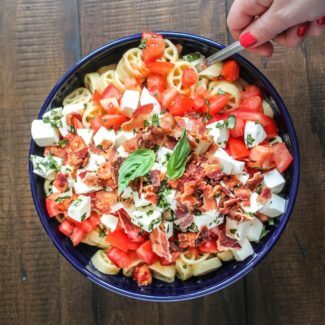 They are all recipes that will hold up for a few days so that they can be prepared in batches saving you time and effort. 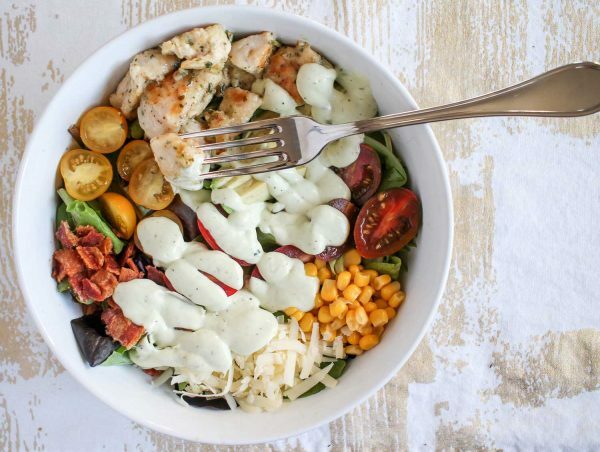 Bacon Chicken Ranch Salad – I love how this salad is loaded with fresh veggies, plus the irresisitable trio of bacon, cheese, and ranch dressing! 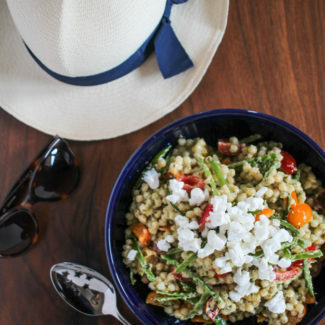 Couscous Salad with Fresh Vegetables, Pesto, and Goat Cheese – The crispy slices of sugar snap peas are my favorite part. 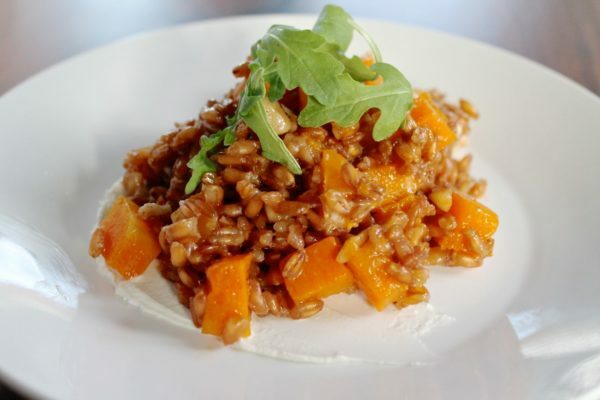 Farro, Butternut Squash, and Goat Cheese Salad – This salad is filled with fall flavors like butternut squash and walnuts. 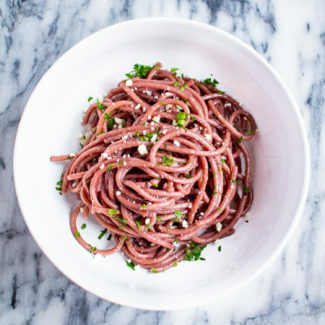 If you haven’t have farro, it is similar to risotto and brown rice. 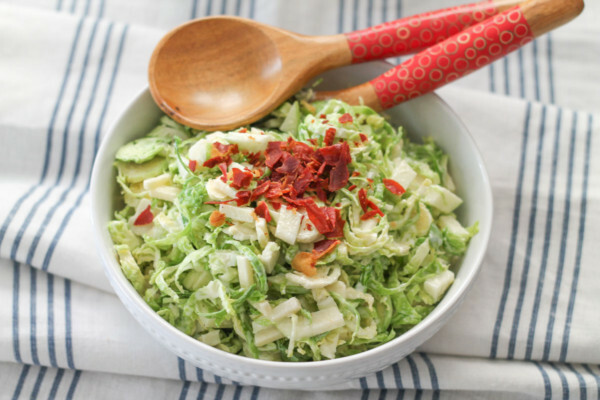 Brussels Sprout and Apple Salad with Crispy Prosciutto – My sister loves this salad that combines brussels sprouts and a refreshing ginger yogurt dressing. 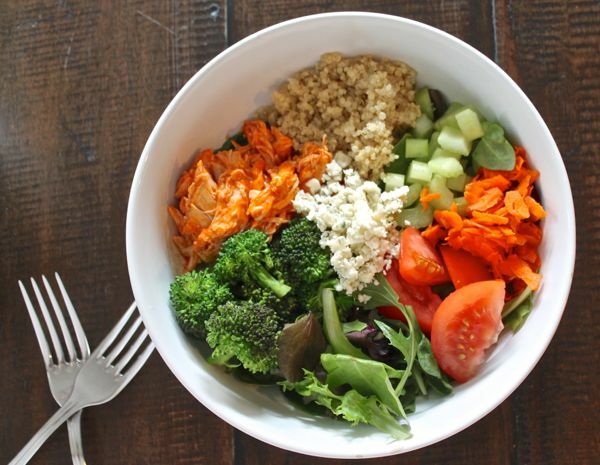 Buffalo Chicken Quinoa Salad – This is my go-to lunch when I am trying to lose a couple of pounds. 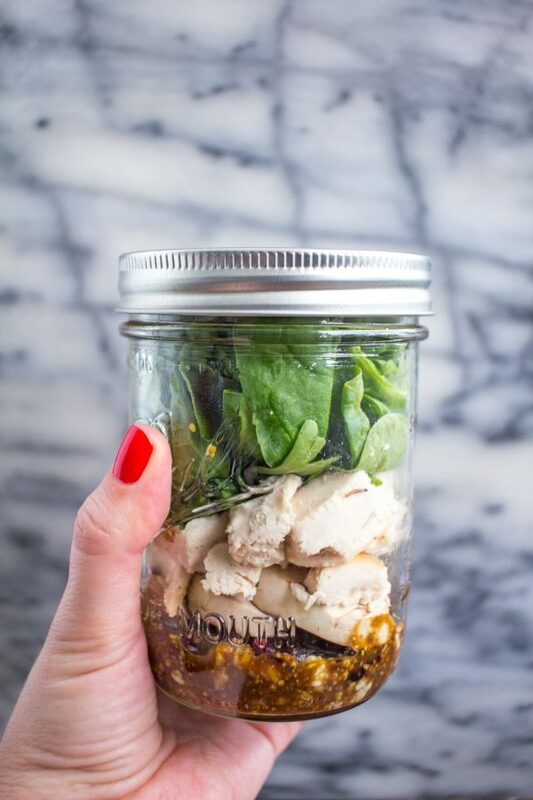 Protein Packed Mason Jar Salad – This super healthy salad has diced chicken, spinach, blue cheese, dried cranberries, and an easy homemade mustard dressing. 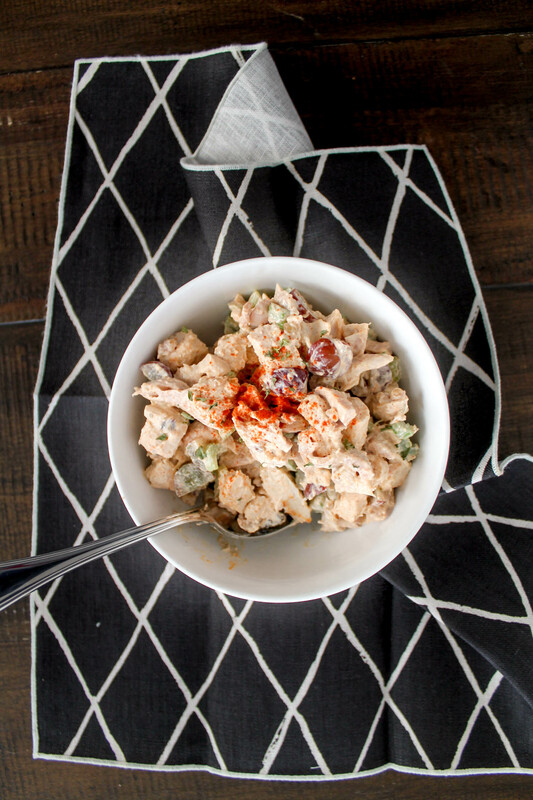 Curry Chicken Salad – You can serve this over lettuce, in a sandwich, or in a wrap! 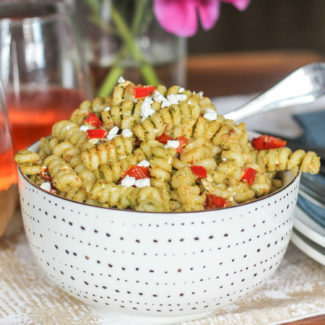 Pesto Pasta Salad – A super easy recipe made with pasta, store-bought pesto, crumbled goat cheese, and tomatoes. 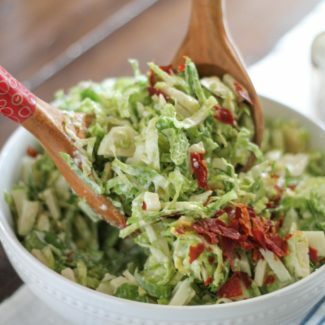 Add chicken if you want to add some extra protein. 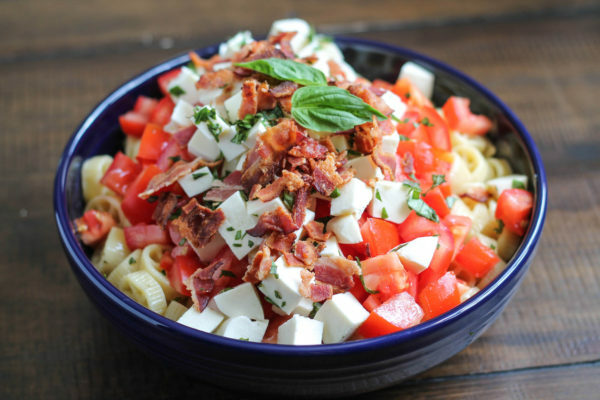 Caprese Pasta Salad – The classic flavor combination of tomatoes, mozzarella, and basil get a boost from some bacon, roasted garlic vinagrette, and some pasta. 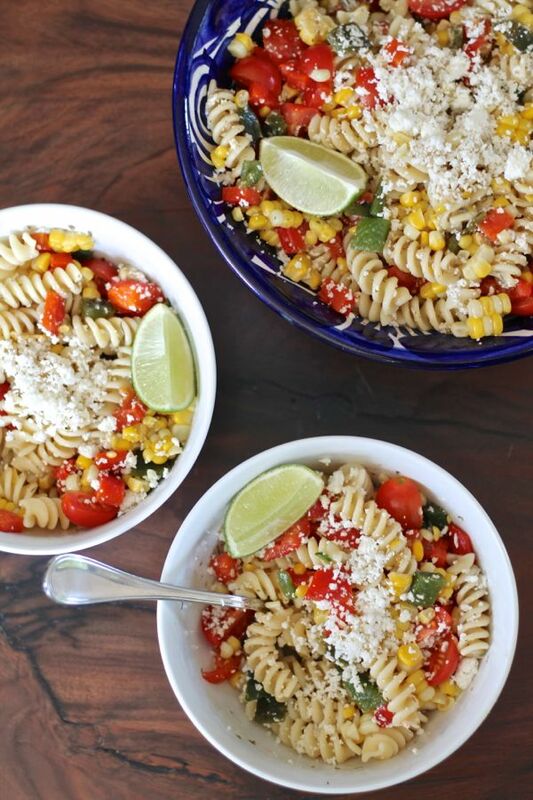 Mexican Corn Pasta Salad – This pasta salad has spicy poblano peppers, fresh tomatoes, and crunchy corn. 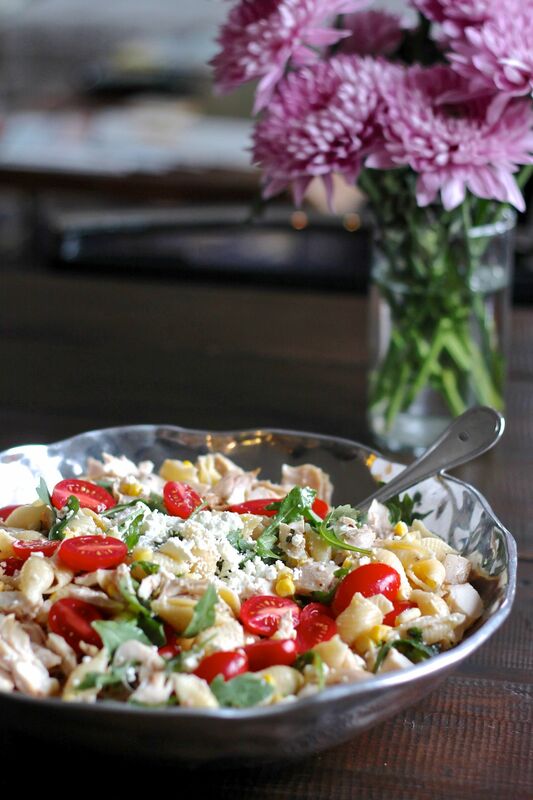 Lemon Garlic Chicken Pasta Salad – Chicken, cheese, tomatoes, corn, pasta, and arugula come together with a light lemon garlic dressing. 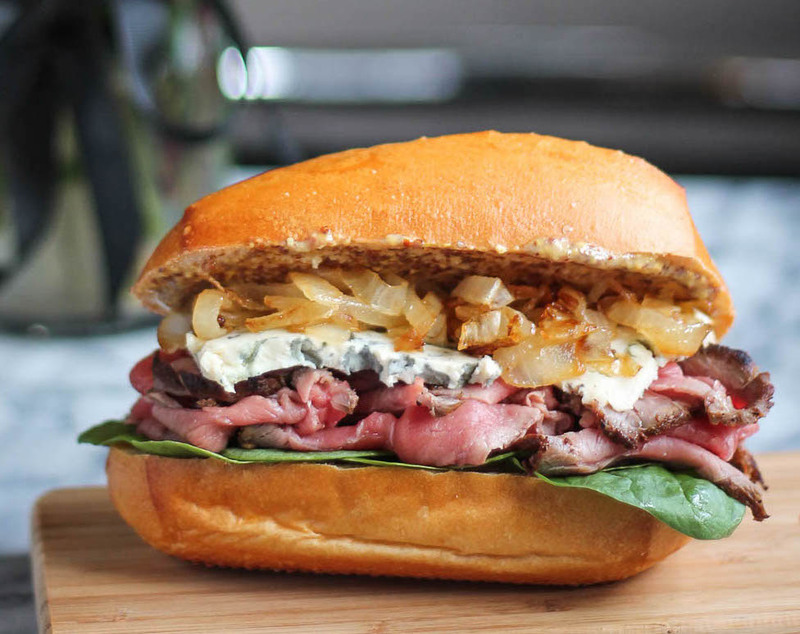 Roast Beef Sandwiches – You can’t go wrong with a classic roaste beef sandwich with spinach, blue cheese, and caramelized onions. The Best Turkey Sandwich – This is my alltime favorite lunch. 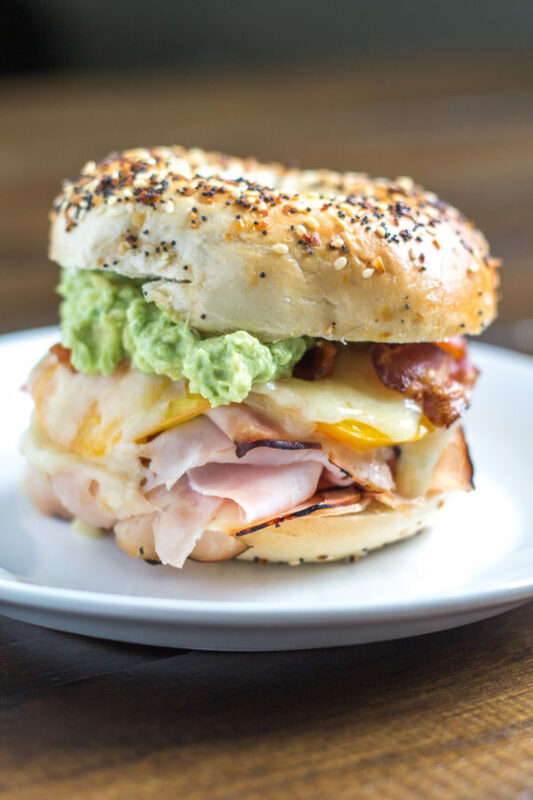 It’s made with honey maple turkey on an everything bagel with cheddar cheese, mustard, bacon, tomatoes, and avocado. 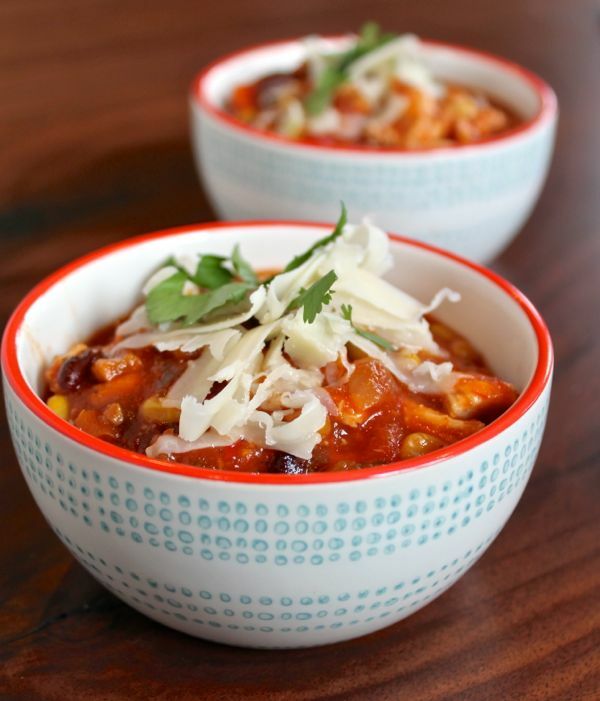 Chicken Tortilla Soup – Charles’s alltime favorite recipe is a great lunch – make a big batch and freeze half for later! 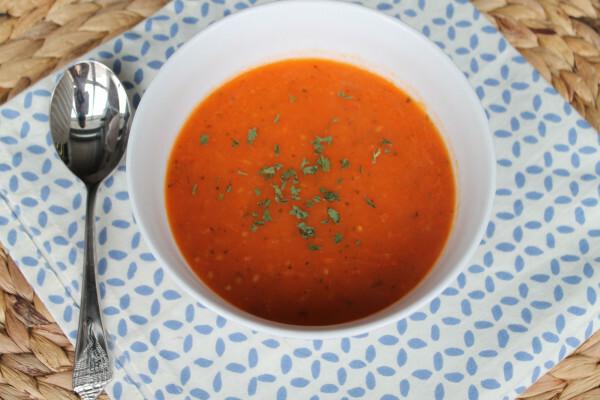 Herb Roasted Tomato Soup – This vegan soup is a perfect way to serve tomatoes from the garden or farmers market. 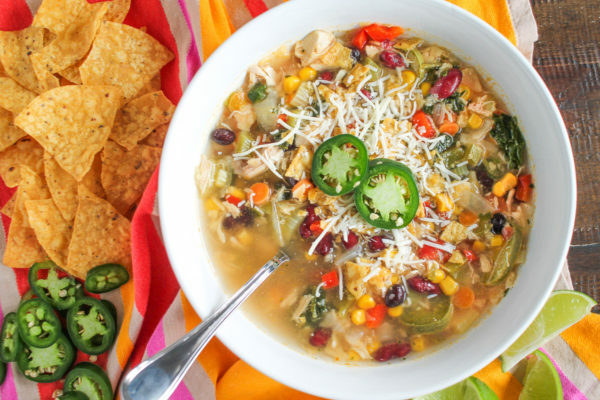 Spicy Mexican Chicken Soup – This is a cross between a soup and chili since it is so thick, and it will warm you up on a chilly day. 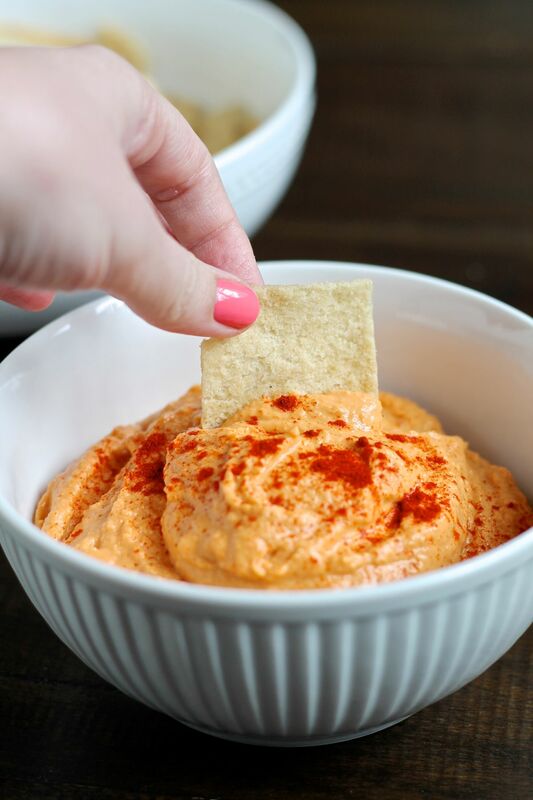 Roasted Red Pepper Hummus – Homemade hummus really does taste better, and this recipe is super easy. 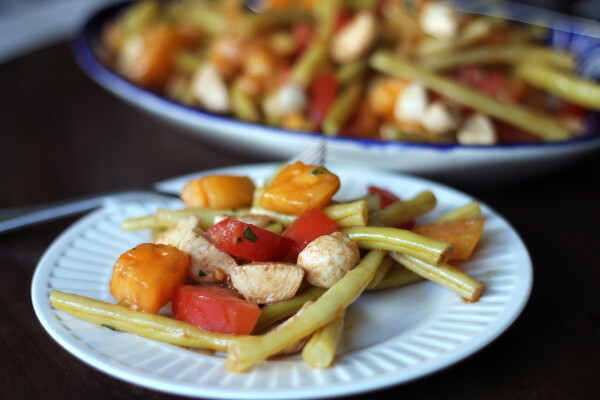 String Bean Salad – String beans with Italian dressing, tomatoes, basil, and mozzarella is just delicious! 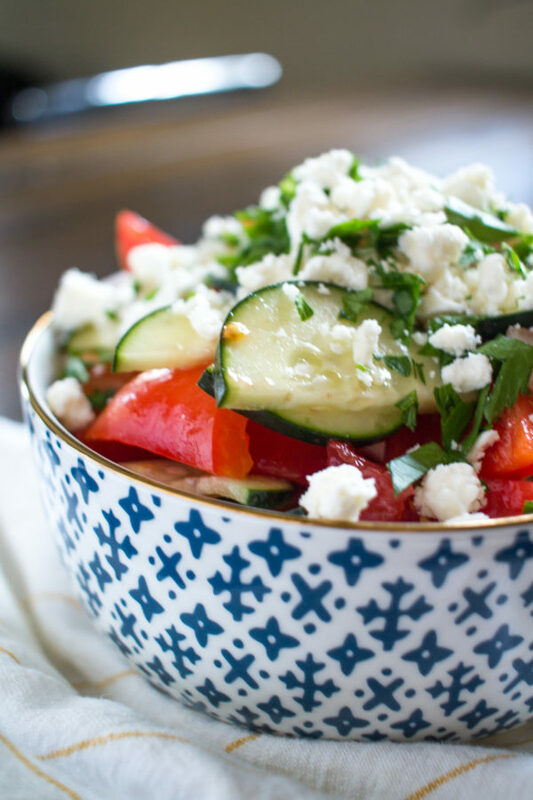 Shopska Salad – I discovered this salad in Serbia this Spring and I love the fresh vegetables and salty feta cheese. 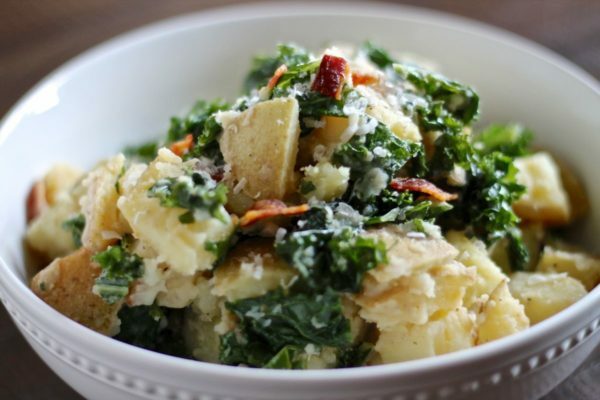 Kale Caesar Potato Salad – Bacon is the secret ingredient in this fun twist on a potato salad.